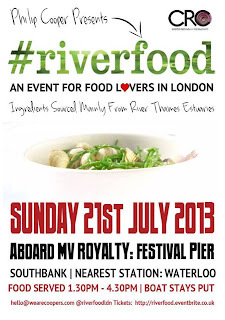 We all love seafood - but what about riverfood? 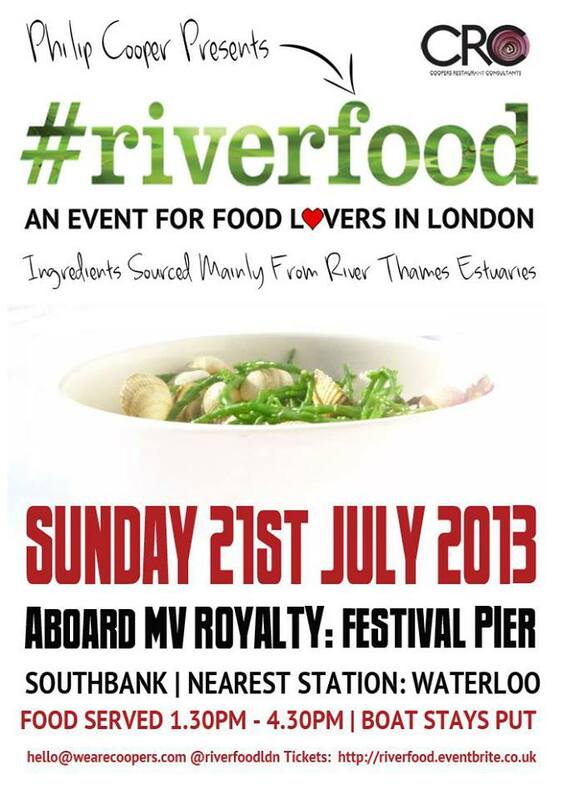 This is the concept behind this Sunday lunch from the team behind Cooper's Restaurant Consultants, who are taking over the MV Royalty, moored at Festival Pier, near Waterloo Bridge. It all sounds delicious; expect kippers, pike, and duck, among other things. "Thousands of species of edible fish live in rivers all around the world, so it’s hardly surprising that over 125 different types can be found in the fresh river waters of the United Kingdom. Despite the current interest in locally sourced ingredients, regional recipes and even foraging, few chefs have as yet to explore and serve food from this rich and diverse supply…until now. Pike and Green Peppercorn Sausage with Puy Lentils. Roast Duck with Pickled Gooseberry. Get yourself down to the MV Royalty at Festival Pier, grab a glass of bubbles or a pint of Meantime Ale and join us on a voyage of gastronomical delight."